Channel 5 is to launch a new free-to-air TV channel, My5, early next month, which will air a selection of the most popular shows previously seen on the network’s bouquet of channels and its video-on-demand platform. 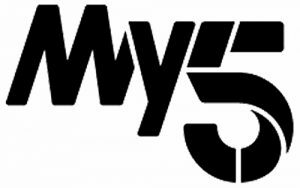 As well as featuring the most popular recent programs from across the Channel 5 network and its VOD platform, the My5 channel will also carry shows linked to major program launches and events, or will be curated around talent or themes. The channel will work in tandem with the VOD service, also called My5. Its schedule will be “synchronized with – and reflective of” its streaming platform, Channel 5 said. The VOD platform has recorded growth of nearly 50% this year, and more than 1 million people have registered to use it, the company said. The My5 channel will be available free-to-air on a number of platforms, including Freeview, Freesat, Sky, Virgin Media, YouView, BT and TalkTalk, with further platforms to be confirmed.